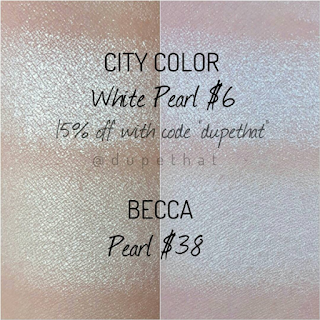 Here are swatches comparing City Color "White Pearl" next to Becca "Pearl." Prices listed on photo. 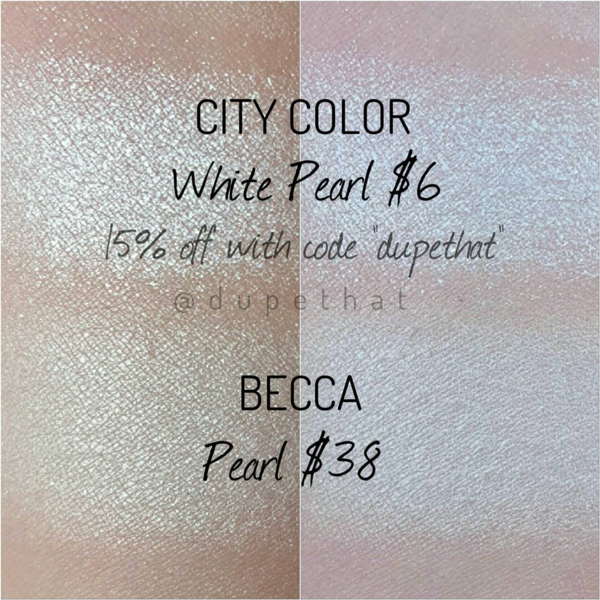 We're still currently working on finding the perfect dupe for City Color "White Pearl." To get an additional 15% off of your entire purchase on www.citycolorcosmetics.com, use the code "dupethat" at checkout!